I loved this book and its collection of carefully told memories. If you know Naples, or are curious about the city, this is an easy, fascinating read – a surprisingly gentle ride around a family and a city scarred by war. We visited this little lodge last August, towards the end of our two years near Naples, Italy. It was evening when we arrived. 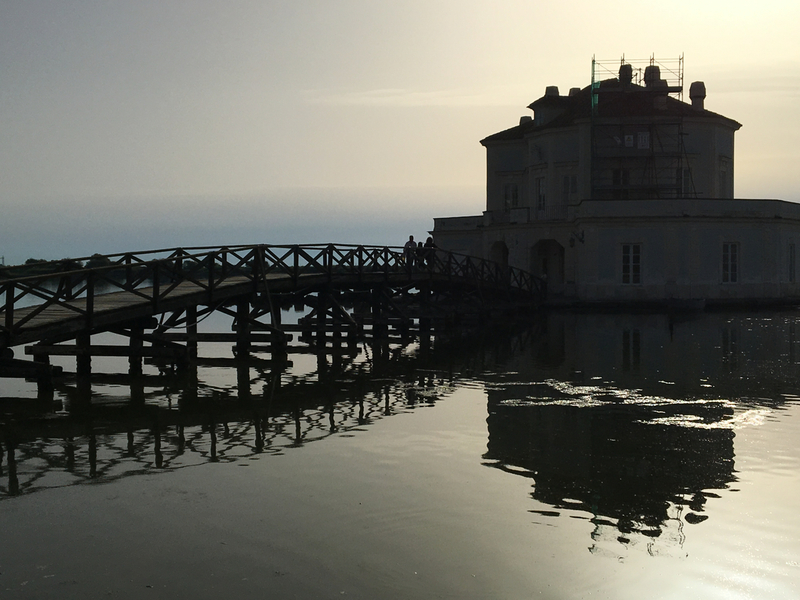 The heat had gone, the light bounced off the lake, and wedding parties posed on the bridge. If I had the money to save a building of all those that I have seen this is the one that I would save. We saw it for the first time this summer – small, elegant, corroded and propped up; its perfect proportions reflected in the blue green lake as the sun went down. Naples, scarred and sublime, is now in a fight against defamation. One of its latest battles is online. This city of secrets has eyes everywhere … now they are wanted in the digital world. Happy Easter! This year we’re in England. There is warmth and new green in the south this weekend. The trees are fresh-leafed, there are bluebells in the woods, and there’s blossom on the verges … it’s beautiful. 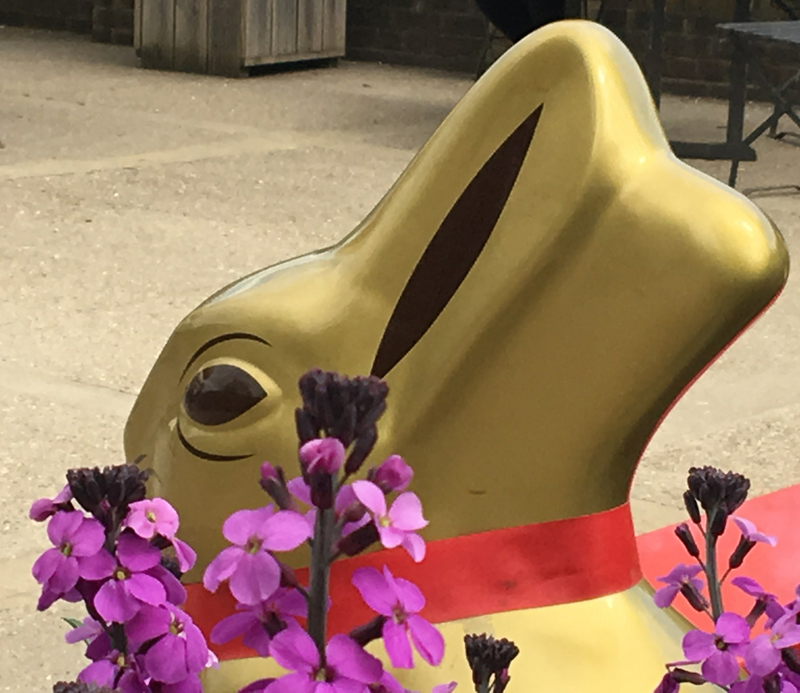 And, of course, there are chocolate eggs … but not like in Naples, Italy. 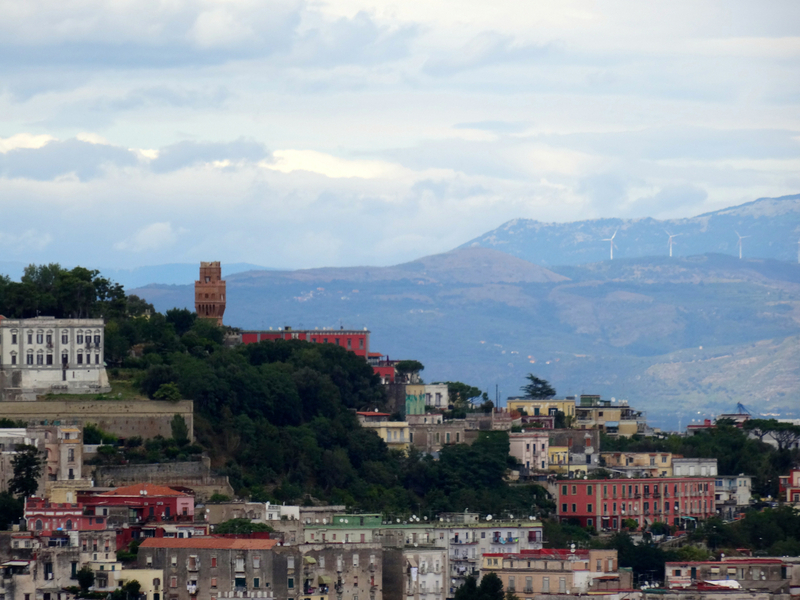 Last June we had an eccentric, wonderful evening trip up the ‘red tower’ in Naples, Italy, followed by a night visit to the art gallery at Capodimonte. I wrote about it then but here’s a repaint … better, I hope. Some evenings unwrap like the best parcels – one surprise at a time. This is one of those evenings. We’re part of another Curiosity Tour of Naples. 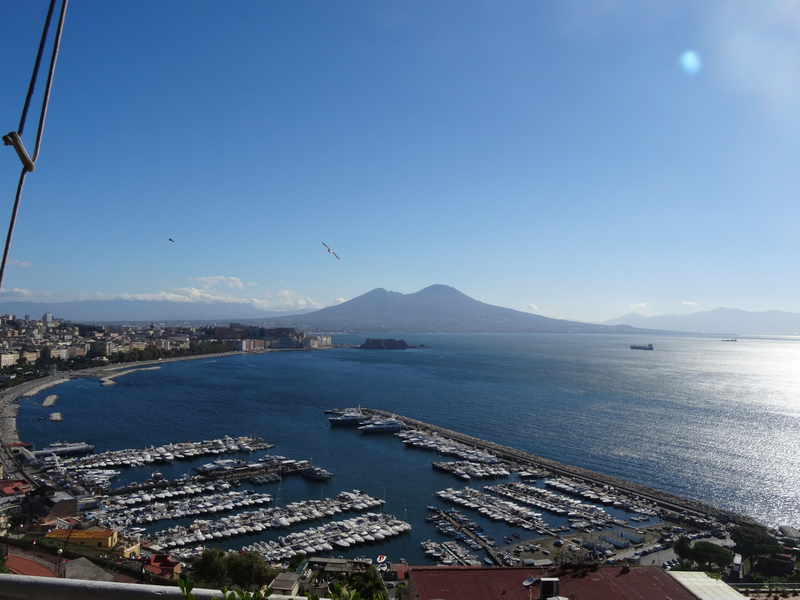 I’d signed us up for two reasons – the first was to visit the old red tower I’d seen above Naples so often; and the second was to show our visiting artists the Museo di Capodimonte. The tower is part of our lives here in Naples. We see it on every trip along the tangenziale from the airport at Capodichino. It stands tall and mysterious above the dark green of the bosco di Capodimonte. It is an exotic exclamation mark above a city outlined in rectangles. I visited Sanità in Naples, Italy last summer. Our guide was young and local, and the morning she gave us felt personal … as though, thanks to her, the city had allowed us a little closer to its secrets. It was an excellent tour. 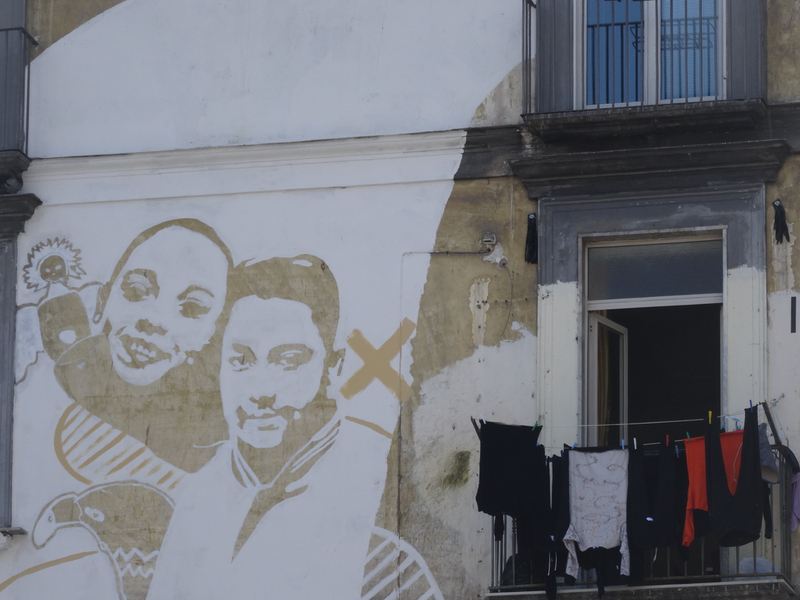 Mural in rione Sanità in Naples, Italy – the district (rione) was known as Sanità originally because of the health benefits of living there. The possibility of progress brings pride and hope, but it takes courage to guard the flame. No-one needs to tell this to Sanità. The district, ridden over by a road and tucked out of sight at the back of the city centre in Naples, is building a future for its children one day at a time. One bright gleam of opportunity shines around Sanità’s collection of treasures. My Africa interlude is finished for now. This piece was written in May 2016, a few days after I’d followed the annual procession of saints through the old streets of Naples, Italy. It was an unforgettable day. In Naples the less usual is everywhere. 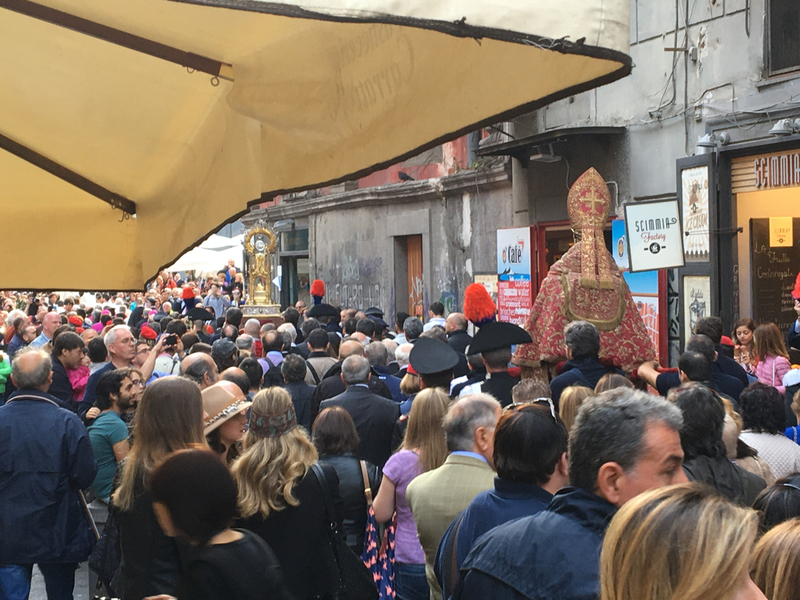 A few weeks ago it was San Gennaro, his blood, and a selection of saints, who added the extraordinary as they were carried shoulder high in procession through the city’s streets from the cathedral to the church of Santa Chiara.